Trap Beast: Set a sharpened blade trap at your location, which takes 1.5 seconds to arm and lasts for 1 minute. When triggered, the trap deals 3072 Physical Damage, an additional [7852 / 7935 / 8023 / 8106] Physical Damage over 6 seconds, immobilizes the enemy for 6 seconds, and grants you Minor Force, increasing your Critical Damage by 10%. Rearming Trap: Set a sharpened blade trap at your location, which takes 1.5 seconds to arm and lasts for 1 minute. When triggered, the trap deals 2151 Physical Damage, an additional [5537 / 5597 / 5657 / 5718] Physical Damage over 6 seconds, immobilizes the enemy for 6 seconds, and grants you Minor Force, increasing your Critical Damage by 10%. After being triggered the trap resets and can be triggered one more time. Lightweight Beast Trap: Range: 28 meters, Target: Ground. Launch a sharpened blade trap at a target location, which takes 1.5 seconds to arm and lasts for 1 minute. When triggered, the trap deals 3072 Physical Damage, an additional [8095 / 8183 / 8274 / 8358] Physical Damage over 6 seconds, immobilizes the enemy for 6 seconds, and grants you Minor Force, increasing your Critical Damage by 10%. Trap Beast places a trap which immobilizes and damages a single opponent. 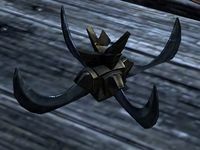 The Rearming Trap will rearm and fire again, potentially affecting another target, while the Lightweight Beast Trap can be placed at a distance. It is best used against melee type attackers, as affected enemies can still attack you while immobilized. Certain enemies are immune to this effect, notably larger bosses and flying/floating enemies. Placing the trap does not count as an attack, even with the distant trap from the Lightweight Beast Trap morph. The trap will not alert enemies until after it arms and an enemy sets it off. While you may only have one un-triggered trap at a time, you can trap multiple opponents by waiting for the first one to trigger and setting a second one. Keep in mind that it takes 1.5 seconds to arm, so the second one should be placed far enough in front of advancing enemies to give it a chance to arm before they cross over it. This is considerably more useful with the Lightweight Beast Trap morph, as you can place the first trap right near the targets and the second closer to yourself. Rearming Trap is a recommended morph for the Luminous Warrior build, while Lightweight Beast Trap is recommended for Savage Stalker.